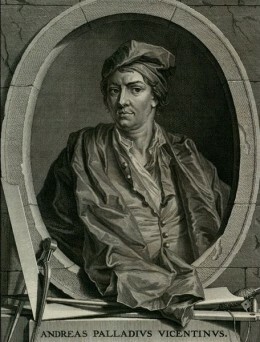 Andrea Palladio was born Andrea di Piero in Venice in 1508. There is some confusion about the exact date with some sources claiming November 8 and others November 30. At the age of thirteen, he was apprenticed to the workshop of the architect and stone mason Bartolomeo Cavazza da Sossano in Padua, and by the 1530s he was working for himself. A meeting with Count Giangiorgio Trissino, the respected Humanist, was to have a profound impact on his later career, and it was Trissino who gave Andrea the name Palladio, after Pallas Athena, during their first visit to Rome in the summer of 1541. Palladio spent a further period of time in Rome in 1545-6. Finding contemporary surveys of classical Roman architecture unsatisfactory, he studied the ancient remains diligently and in 1554 published L’Antichita di Roma. From then until the end of his life he worked for the highest patrons in Venice and Vicenza, adopting motifs such as the Greek cross into secular architectural design. 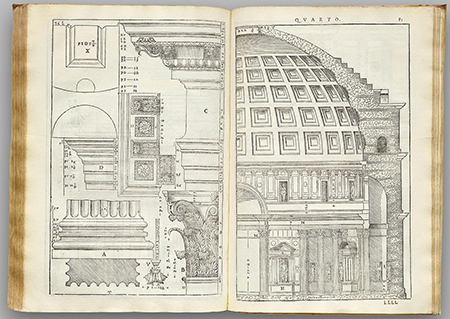 His seminal publication, I Quattro Libri dell’Architettura, 1571, instructed readers on a more proportionately appropriate use of the classical Orders. It was disseminated throughout Europe and its theories were brought to Britain by Inigo Jones in the seventeenth-century. Palladio is possibly best remembered for the style of architecture that assumed his name in the eighteenth-century. The first version of his publication in English appeared in 1715 and was translated by the Italian architect Giacomo Leoni, working under Lord Burlington’s patronage. Edward Lovett Pearce used an earlier 1601 version during his Grand Tour in the 1720s and annotated it with his own observations. 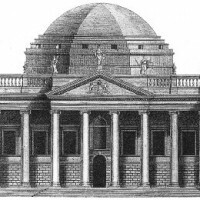 He drew inspiration directly from Palladio in his design for the House of Lords in the Dublin House of Parliament and for Bellamont Forest, Ireland’s first country villa, designed for the Cootes of Cootehill in the late 1720s. 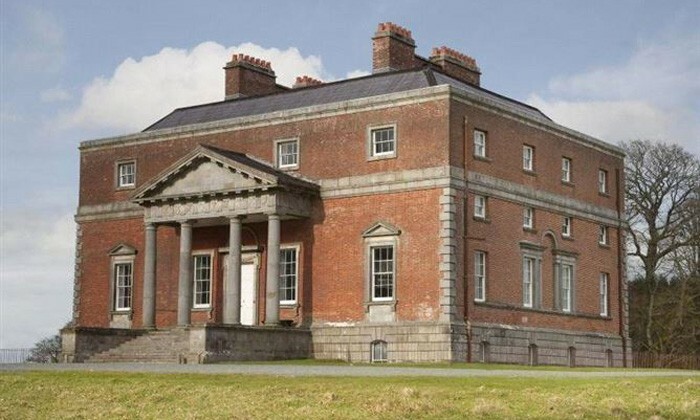 Palladio’s block-and-wings motif was used throughout the eighteenth-century in country mansions such as Castletown House, Co. Kildare and Russborough House, Co. Wicklow.